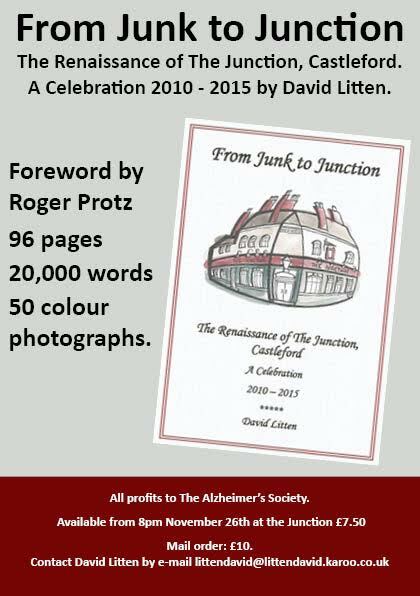 On July 9th 2010 Maureen Shaw and Neil Midgley threw open the doors of the Junction pub in Castleford for the first time in a couple of years. It had laid shut during that time and in a bold move to bring it back to life, it was purchased following much deprivation and decay. Little did we all realise what was to develop during the next five years. Sufficeth to say, they have worked wonders and have succeeded in transforming the pub into a most unique place unequalled throughout the country. Through dedication and determination they have spearheaded what has become the “wood revolution” and made their pub the “home of beers from the wood”. Being Yorkshire folk of traditional mind, Maureen and Neil took on stewardship of the Junction with the intent of returning the “working man’s drink” to the people of Castleford. At first, this was through the blood, sweat and toil of sheer hard work in making the pub a pleasant place serving quality beer at affordable prices. Since early 2014 this has been supplemented by the caveat of using only handmade wooden casks for real ales and it has become the only pub in the country (and probably the world) to do so. The pub benefits from mutually beneficial relationships with local breweries that are happy to fill wooden casks with their beers and the Junction is happy to lend the casks and to serve the beer. Thus, this working class street corner local in a small town in Yorkshire has become the leader of the “wood revolution” rather than some expensive and trendy city centre brasserie. And thereby hangs another tale – it is a true local pub where all are made welcome, friends easily made and conversation flows.